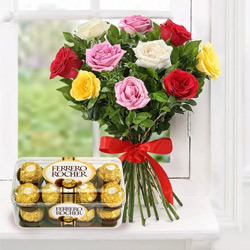 Send Online Flowers to India Same Day and spread the fragrance of your sweetest thoughts into your dear one�s life on any occasion like Birthday, Anniversary, Father�s Day, Christmas, Valentine�s Day and so on. 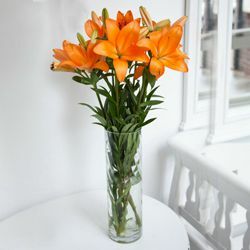 Explore a selection of fresh and vibrant Flowers at our website like Roses, Orchids, Carnations, Gerberas, Bop, Anthurium, Chrysanthemums, Lilies and lot more and our Local Florist design them in variant colours, patterns and designs at very nominal cost. 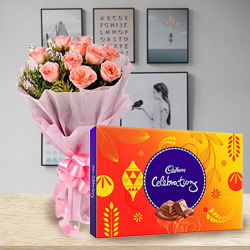 Along with Floral Arrangement you can also order for Add-on Gift like Fresh Baked Cakes, Chocolates Bookey, colourful Balloons, Greetings Card, Watches, Leather Wallet, Apparel Gifts and many more and get Same Day Delivery of Flowers in India. 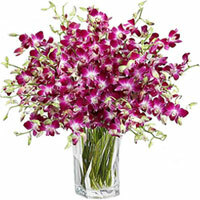 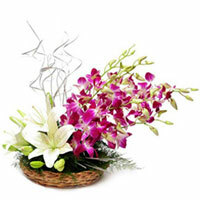 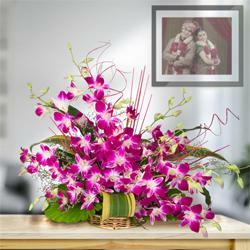 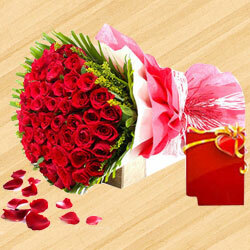 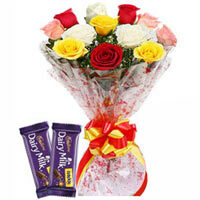 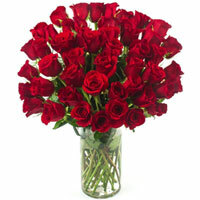 With our Large Delivery Network in India we can provide Instant Flower Delivery the same day to Delhi, Kolkata, Hyderabad, Mumbai, Pune, Bangalore, Ahmedabad, Kochi, Amritsar, Rajkot, Ranchi, Mysore and other small and big cities of India followed with Free Mid-night Delivery and Next Day Delivery service. 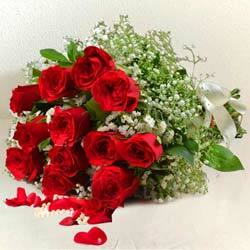 Send Same Day Flowers to India Online as Flowers is the most appreciated gift you can give to someone special no matter what the occasion is. 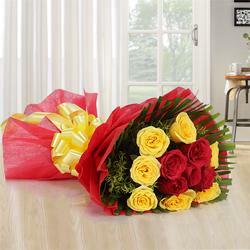 Be it Birthday, Anniversary, Christmas or Friendships Day, a Fresh Flowers Bunch delivered the same day of celebration is always praiseworthy. 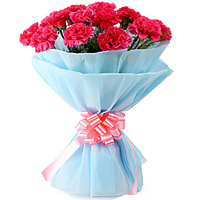 Choose from broad category of exceptional Floral Gift such as stunning Red Roses Bouquet, Pink Carnations Bunch, Blue Orchids Bundle, Oriental Lilies in Vase, Basket Arrangement of Bop & Anthodium and lot more at very Cheap Cost. 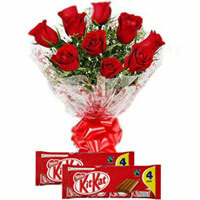 Buy other Gift items Online like Black Forest Cake from 5 Star Bakery, Haldiram Sweets Hamper, Mixed Dry Fruits Collection, Dairy Milk Chocolates Buky, Cosmetics Hampers from Lakme, Fashion Jewellery, Branded Perfumes, Gift Vouchers and more and get Same Day Delivery of Flowers in India. 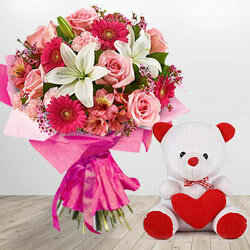 You can even order Flowers and Gifts from countries like USA/UK/Canada/Australia and get assured Today Delivery anywhere in India within 4-6 Hours on your chosen date. 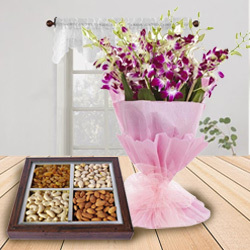 Send Flowers to India Same Day as Flowers provide wonderful ways to express love and affection for dear ones on occasions like Friendships Day, New Year, Valentine�s Day, Birthday, Anniversary etc. 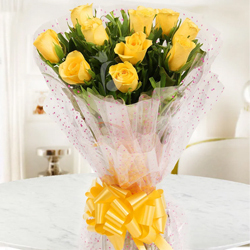 With our beautiful range of Floral Bouquet and Flowers Arrangement you are sure to impress and make your beloved happy by Sending Same Day Delivery of Flowers to India. 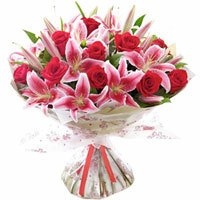 From Heart Shape Red Roses Arrangement to Pink Carnations in a Vase, vibrant Orchids Basket to beautiful Lilies Bunch or colourful Gerberas Bouquet to Seasonal Flowers Basket, all available at Cheap Cost and artfully hand designed by our Local Florist. 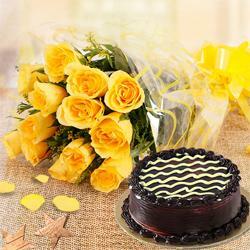 You can also order for yummy Chocolate Cakes, Ferrero Rocher Chocolate Buky, Sweets from Haldirams, soft Teddy Bear, Premium Gifts, Gourmet Basket and much more and get Prompt Delivery of Flowers N Gift to India the Same Day. 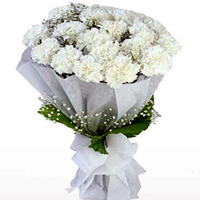 We also provide Late Night Delivery and Mid-night Delivery facility for all possible cities of India to aid you more in this online shopping process. 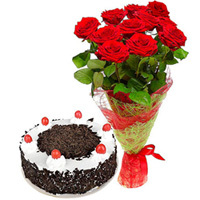 Flower to Sri Ganganagar, Send Gift Guna, Sending to Kheda, Send Flowers and Gifts to Surat, Shimla Online Cake Delivery, Send sweets Calicut, Birthday Delivery Madras, Diwali Mithai Bhatpara, New Year Flowers Kheda , Flower shop Rohtak, Online Shop Phagwara, Wedding Cake Gauhati, Fresh Fruits Rourkela, Sari Delivery Anand, Watches to Ranchi.